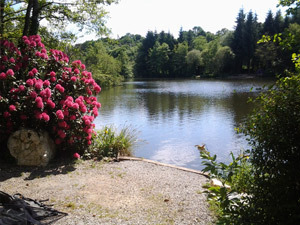 Carp Fishing Lake in Brittany France. 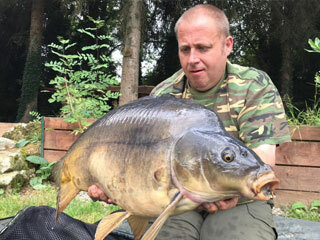 Fully stocked Brittany Carp Fishing Lake - Blavet Valley Lakes. 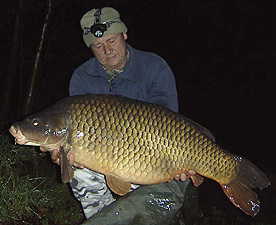 Offering you the best value ever Carp fishing holidays in France. BOOKINGS BEING TAKEN FOR 2018 & 2019! 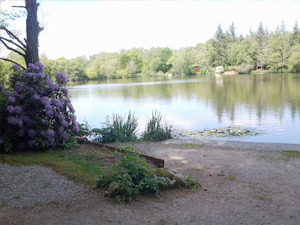 Blavet Valley Carp Fishing Lakes in Brittany is a 24 acre woodland paradise set deep in Brittany's famous Blavet Valley - the idyllic setting for a fantastic carp fishing holiday in France. Blavet Valley Lakes is a family run business owned by Gordon and Berny Dawson. Our Carp Fishing seasons here are very successful and most Carp anglers can't wait to return for another session. 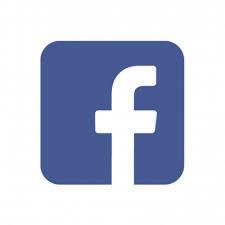 We hope we will see you sometime in the future. We would like to thank everyone for their support and good wishes and hope to see you all again in 2018 at our carp fishing lake in Brittany, France. 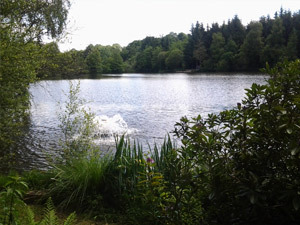 Our 8 acre carp fishing lake inOur 8 acre carp fishing lake in Brittany was originally excavated for sand and gravel in the early 1960s to a depth of 6 - 12 ft with varying contours i.e. gravel bars and areas of sand and silt with no weed, also no Poisson Chat or Cray Fish. 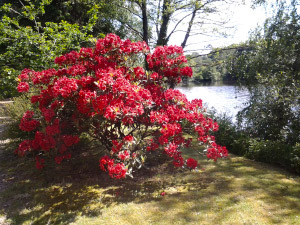 There are plenty of overhanging trees and foliage that create excellent margin fishing. 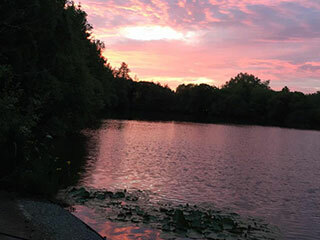 Views of our Carp Fishing Lake in Brittany, evening and kids enjoying the Carp catch. 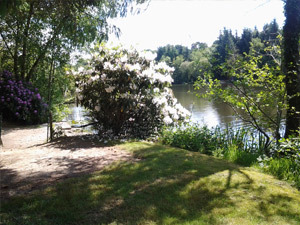 The Carp fishing lake was originally stocked as an all round fishery and we know that included quite a few carp over 15 years ago. Since then we have introduced a further 172 top quality Carp - mirrors to 53lbs and commons to 38lbs, this being our stock from our previous Carp fishing lake in Brittany. We have subsequently added a further 100 carp to the lake. In February 2007 we added a further 18 Carp: 1x Mirror Carp 50+lbs, 5x Mirror Carp 40-48lbs, 1x Common Carp 41lbs, 12 Mirror Carp 30+lbs. We stock our own boilies specially made for Blavet Valley Lakes at realistic prices. Also available is our own proven particles and pellets. Bivvies, Bed chairs, Carp Rods, Reels etc. all top quality kit for hire on site at very reasonable prices. Also Bait Boats for hire. 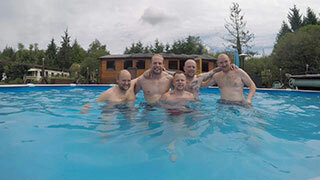 Relax in or around our 10m x 5m heated pool. 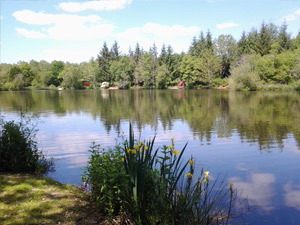 Contact Blavet Valley Lakes now for your Brittany Carp Fishing Holiday in France.